Alexandra has almost 20 years of experience in various organizations, holding a variety of positions in the areas of product development, business development and commercialization of innovative technologies. She has an in depth understanding of strategic foresight and planning, including business planning led by strategic objectives and measurable targets to deliver the plan, business development in private sector global company and in Government funded organizations, including start-ups and project management of materials testing ensuring profit margins. 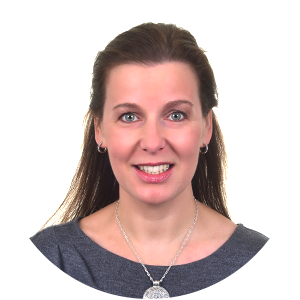 As a Senior Consultant in Isis Enterprise, Alexandra provides support in the UK and globally on IP policy issues, knowledge transfer and innovation management. Her previous roles include working with the Australian Red Cross Blood Service, InnovationXchange Australia, the Australian Nuclear Science and Technology Organization, and Johnson Matthey, UK. Alexandra has a PhD in Chemistry from Queen Mary, University of London and did postdoctoral research at Imperial College London. She gained a Masters in Science and Technology Commercialization from the Entrepreneurship, Commercialization and Innovation Centre at the University of Adelaide. The topic of the importance of communication between industry and universities is not new, yet still we see more and more publications on how and why it is necessary to understand each other’s needs and outputs. Just as in building any solid foundation for a fruitful relationship – is the critical need for academics and graduates to understand the common ground where the research institution of today meets the needs of modern industry. Both sides have to understand each other and by having two-way communication that is open (while protecting intellectual property) and honest (realistic) creates the most successful innovation ecosystem. These positive communications between industry and academic institutions, where todays graduates are being developed for our future, are leading to more open innovation, alliances and stronger networks than ever before; delivering impact for the benefit of society. Kwok Ng received his Ph.D. from Columbia University in 1979 and B.S. from Rutgers University in 1975, both in Electrical Engineering. He joined Bell Laboratories of AT&T in Murray Hill, New Jersey in 1980, and continued in its spin-offs Lucent Technologies and Agere Systems until 2005. He was with MVC in San Jose, California during 2005-2007. Since then he has been with Semiconductor Research Corp. (SRC) in Research Triangle Park, North Carolina, serving as Sr. Director in areas of devices and nano- manufacturing. Dr. Ng is an IEEE Fellow. 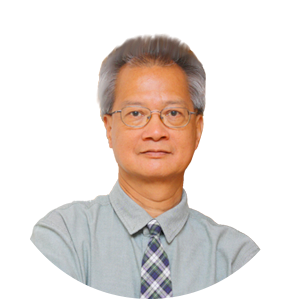 He had held positions as Editor of IEEE Electron Device Letters, Liaison to IEEE Press, Adjunct Professor of National Chiao Tung University in Taiwan, and Chair of the ITRS (Int. Technology Roadmap for Semiconductors) PIDS (Process Integration, Devices, and Structures) Chapter. Among many publications, he is the book author of Complete Guide to Semiconductor Devices (2nd Ed., 2003, Wiley/IEEE Press) and co-author with Simon Sze of the well-known Physics of Semiconductor Devices (3rd Ed., 2007, Wiley). The semiconductor industry is unique in that it has been enjoying tremendous prosperity and having huge impacts on the society. This comes about because of the non-stop technological progress year- over-year, characterized by the Moore’s Law. In order to keep the industry heathy, continuing progress is a must. The burden and requirements of semiconductor R/D is shared and helped by the expertise and resources in academia. This talk examines the critical roles played by university research in this industry. A brief introduction to different areas in semiconductor research is also presented.